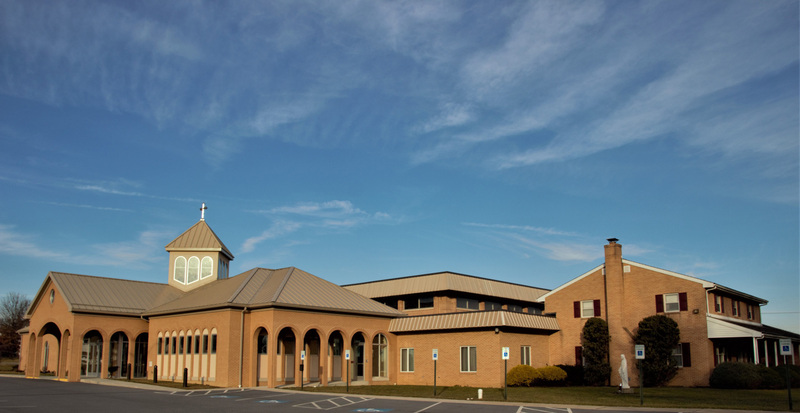 joyfully at: Saint Catherine Parish in Harrisburg, St. Theresa Parish in New Cumberland. Mifflinburg and finally, Mary Gate of Heaven Parish in Myerstown. Vocation Director, Chancellor and Vicar General. Ministry by helping out in parishes and institutions where the needs arise. They say that you never forget your first Pastorate and your last Pastorate. I know this is true. The Lord has certainly saved the best until last. page of this awesome love story between Jesus and me. PS: On the practical note: The new Pastor will probably be named in Mid-May. for information on the new Pastor. sort of like a president. I recognized his picture when I saw it, but I really didn’t know him. but it was a tandem bike, I noticed that Christ was in the back helping me pedal. the same since. When I had control, I knew the way. It was rather boring, but predictable. He laughed and didn’t answer, and I started to learn to trust. He took me to people, like you, with gifts that I needed: gifts of healing, acceptance, joy. You gave me your gifts to take on my journey, our journey, my Lord’s and mine. jumps to clear high rocks, flight to shorten scary passages. enjoy the view and the cool breeze on my face with my delightful constant companion, Jesus.